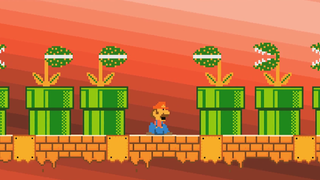 Pete Holmes' latest clip puts poor Mario into the painful situation we all probably joked about before: Filling yourself with mushrooms in a realistic Mushroom Kingdom would have different effects, and it would be a nightmare. Scroll to the 44 second mark for the worst part of his trip. It's brutal.